How Do I Become an Electronic Music Producer? Electronic dance music (EDM) is currently one of the hottest genres in popular music. 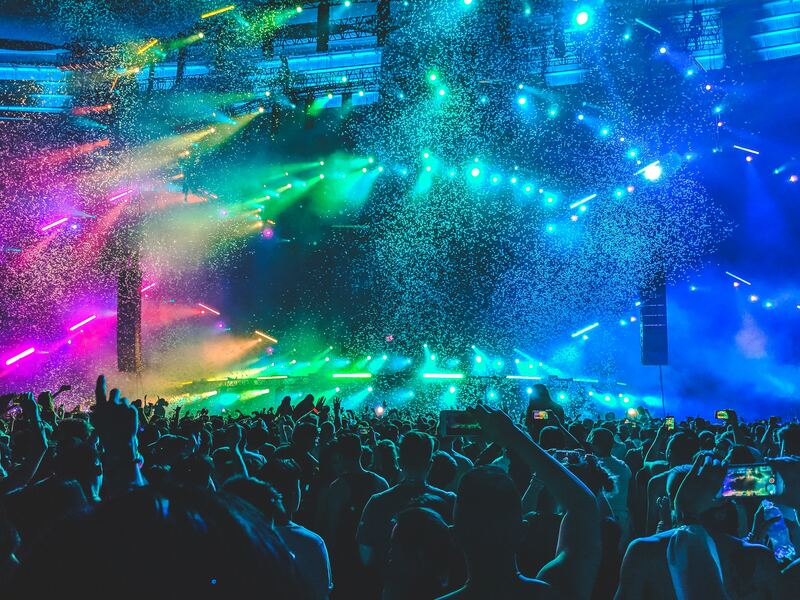 From underground dance music to the global success of chart-topping Electronic Music Producers like Calvin Harris, Skrillex, and Tiesto, the scene is growing. Because of this explosion in popularity, there is an endless list of sub-genres in the field—and a variety of tools and technology you can use to create the beats, sounds, and arrangements electronically. But to become an Electronic Music Producer, you have to be dedicated to your craft. Whether you’ve already created a few tracks or are simply considering getting into the genre, here’s what you need to know about becoming a successful Electronic Music Producer. Research different artists. It’s always a good idea to explore what’s out there before forging ahead. Find what speaks to you. Consider what genre of electronic music you want to produce. You could pursue house, trap, ambient, dubstep, or create your own thing. Choose and learn a DAW. A Digital Audio Workstation (DAW) is the software application you’ll use to produce, edit, and record your music. Berklee Online offers a robust music production curriculum, with DAW-specific courses available. Some of the most popular include Logic Pro, Cubase, Pro Tools, and Ableton Live. Start experimenting! Take the tools you’ve acquired and make things happen. You’ll likely feel frustrated along the way, but embrace it and keep trying new sounds and arrangements until you get comfortable with the software and process. This first stage is all about start soaking up knowledge, mastering skills and seeing the progress. Once you’ve found your favorite DAW and are getting the hang of how things work, the EDM world is your oyster. With electronic music, there are three key fundamental areas you should focus on. You may think that music theory doesn’t apply in electronic music production. But the genre is still a compilation of sounds and rhythms and relies on the same basic musical concepts. Once you’ve covered the basics there, you can move onto structure and arrangement. That way, you can take a short musical run and expand it into a full-length song. There are courses specifically designed for structure and arrangement in electronic music composition, including the Berklee Online courses Composing and Producing Electronic Music 1 and 2 and Keyboard for the Electronic Musician. The final key area you need to understand is mixing. There are courses to help you master this concept as well, including the Berklee Online courses Mixing and Mastering for the Electronic Musician and Sound Design for the Electronic Musician. By learning the basics of digital audio and mixing best practices, you’ll figure out how to put your ideas together and come out on the other side with something you’re excited to present. Becoming an Electronic Music Producer takes hard work, dedication, and perseverance. Following this career path means you’ll be constantly learning about new techniques, so don’t be too hard on yourself as you evolve as both a producer and musician. You’ve learned the software, you’ve learned how to mix properly, and you have a few tracks ready to be released into the world. What are you waiting for? Whether you’re releasing your music on SoundCloud or YouTube, it’s important to get feedback. It’s a daunting and vulnerable part of the process, but it’s essential if you want to grow. Send your tracks to friends as well as other Electronic Music Producers in the industry to identify your weak points. While you’re doing that, make connections with others in the industry and build relationships—you never know what opportunities will arise down the road. When you network with other Electronic Music Producers, you meet potential collaborators and learn from other artists above your skill level. At the end of the day, you have to stay passionate about the genre and excited to absorb new information every step of the way. With a solid foundation, you’ll become a master Electronic Music Producer and continue to innovate as you create a career in EDM.